Sale is for six pop toobs. For children 6 and up. 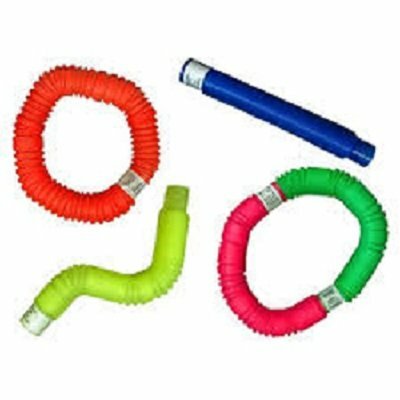 These colorful snappable tubes make a popping sound as they are flexed backand forth. Pop, stretch , bend , and connect them for hours of fun. Pop Toobsmake a great gift!